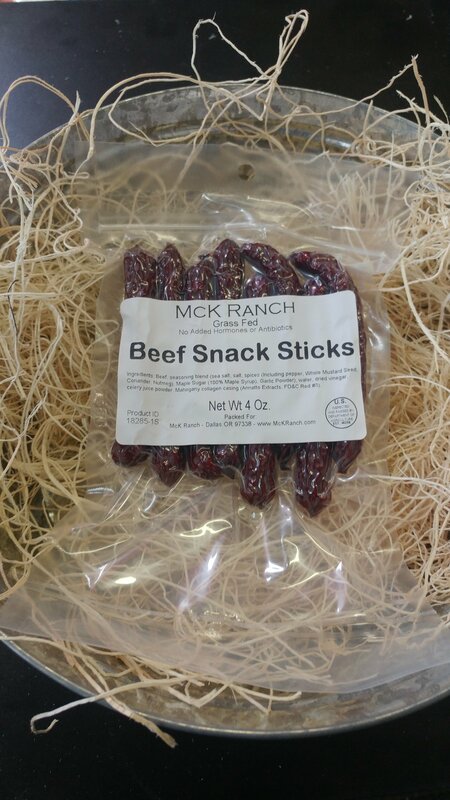 Our dry all beef snack sticks come in resealable 4 Oz packages. *Pick up at our store front on the Ranch during store hours. Delivery to Corvallis, Newport, Yachts, Salem, McMinnville, and up to Portland area can be arranged for large orders.